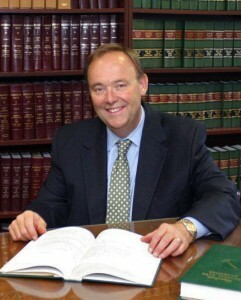 For nearly 20 years Attorney Robert H. Flynn has provided mediation and arbitration services to lawyers and their clients. As a trial lawyer, Bob brings more than 40 years of experience representing insurers, self-insurers and claimants. Bob’s ADR focus is on traditional tort, professional negligence and insurance cases. Experience: Two decades as a neutral in mediation and arbitration! Often court appointed in Suffolk, Worcester and Middlesex Counties in Massachusetts as an arbitrator and discovery master! Formerly, on the American Arbitration Association panel. Decades of experience preparing, trying and settling civil cases for insurers, defendants and claimants. Fifteen appellate cases before the United States Court of Appeals, 1st Circuit; the Massachusetts Supreme Judicial Court; the Massachusetts Appeals Court and the United States Supreme Court (Application for Certiorari). Bob’s keys to guiding parties to settlement include his practical trial experience and a skill at listening and finding consensus. Professional Associations: American Bar Association (past TIPS Committee Chair); Massachusetts Bar Association; Boston Bar Association; San Diego County Bar Association (Chair, Dispute Resolution Section); North County Bar Association; Formerly member of the following: Defense Research Institute (past Committee Chair); International Association of Defense Counsel; Professional Liability Underwriters Association; Massachusetts Defense Lawyers Association; Norfolk Bar Association; Metro West Bar Association; American Association for Justice; Massachusetts Academy of Trial Attorneys; and Transportation Lawyers Association.